One of the most important things that you can do as a vehicle owner is to make sure that you give your vehicle proper seasonal maintenance. Each season has its own set of hardships that it puts your vehicle through, and ensuring you do the proper maintenance can save you time and money. Summer can be a particularly harsh season on your vehicle as the heat can be detrimental to your engine if the proper steps aren’t taken. One of the most important things you can do is to make sure your oil and oil filters are fresh and clean for the season. Ensure your heating and cooling units are working and all filters are changed out to ensure your engine stays cool and runs at peak performance. Winter can also be quite brutal on your vehicle and so it is vital to ensure your heating systems are working. It is always vital to make sure your brakes are in good working order at all times. 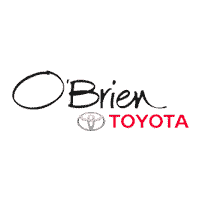 Whatever maintenance your vehicle may need, come on down to O’Brien Toyota in Indianapolis today and see what our team of professionals can do for you.